Hello my dear readers, I think I am gonna make several special posts named Charis’ Best Hero for these days in a row because I got so many beautiful packages these past 3 months from Charis team (sent all the from South Korea); Charis is a Korean e-commerce that sells so many cosmetics and skincare products and ship all over the world. And I announced today's Charis Best Hero is about a blusher; Watery Cheek Blusher. 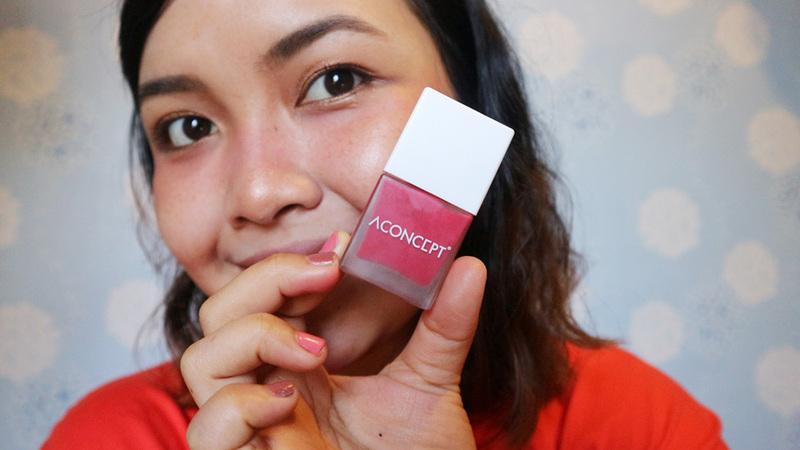 It's a brand new product from A Concept and I'm very excited that I got a chance to review it (it is my first time of trying A Concept products tho). You may mistaken these products are nail polishes, right? No it's not. A Concept Cheek Me is watery fluid type blusher that features a sense of colour with fresh and light feelings. This product comes in 5 colours. I've found most of the colours to be very wearable. 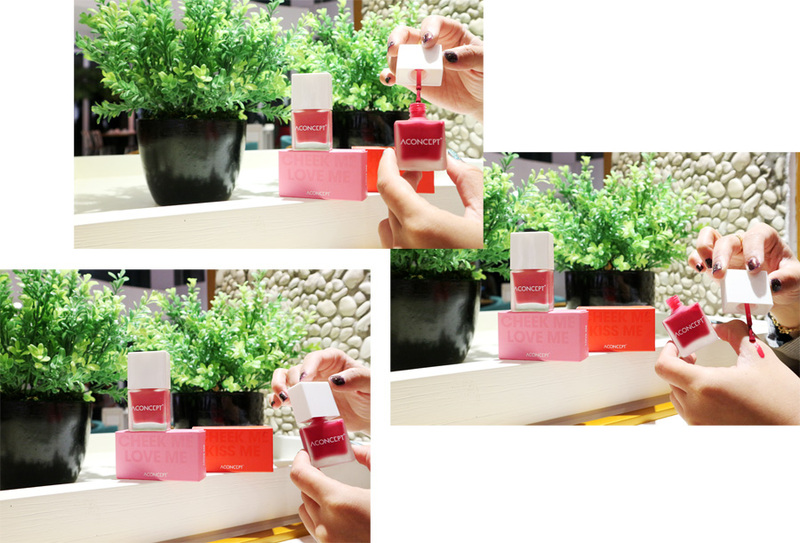 Shade #03 Kiss Me, The color of Kiss Me is like red tomato that lightens up a skin tone for all skin type. Shade #04 Love Me, the color of Love Me is more like lovely and calm expression of soft pink color that resembles cotton candy. The product said itself that it is an oil base leaving fresh feeling is moist but not sticky at all. Watery texture of the product will create the look with moisture and volume on your cheeks. It expresses transparent and clear colour with no lump. The bottle is made of glass and the lid is made of plastic. 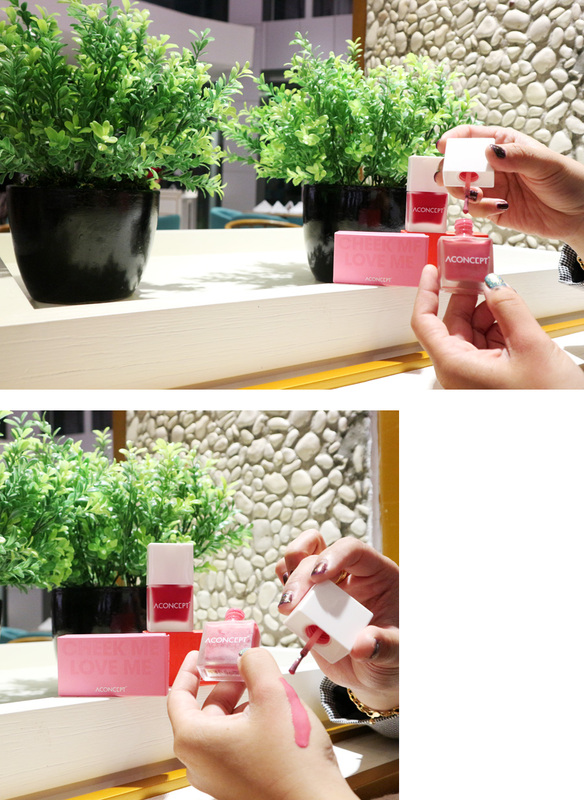 The glass material is quite resistant to break, the plastic lid wont leak the inside but keep it mind to keep the product well on your beauty pouch, girls. You need to shake well before using it then apply adequate amount on the soft brush applicator onto cheek area. Blend in gently using fingers/brush/beauty blender. I applied A Concept Cheek Me Love Me (I was wearing a light makeup that day). The pink colour is so soft (the pigmentation is thin) that I had to build it up by adding multiple layers, it took like 3 layers. 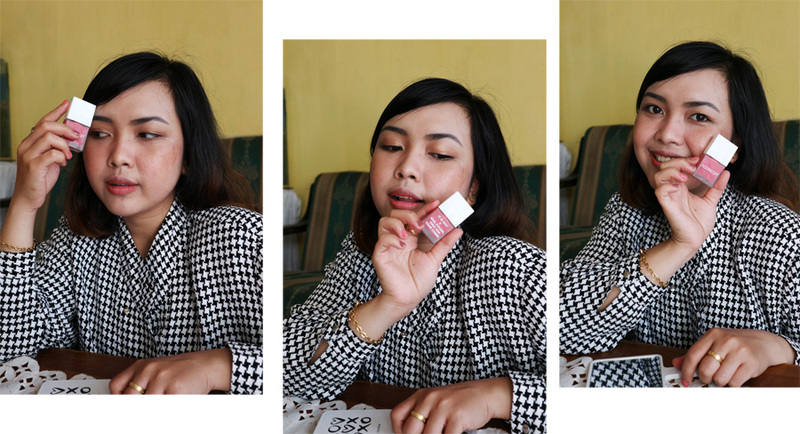 If blending the blusher using your fingers is difficult, you can always use your brush/beauty blender to control this watercolor-blusher well like I did below. Although I used a beauty blender with a purpose it'd look more natural like I am not using any blusher on my face. And it does, so many people were confused and asking me if I wore a blusher that day, because it blends perfectly and naturally on my cheeks. I love how it looks super natural on my cheeks and last longer than I expected. In the photo below, you can see how natural this blusher gives on my cheeks. I've photographed it in bright sunlight. Me, before using Cheek Me blusher. Me, after using Cheek Me blusher. I applied A Concept Cheek Me Kiss Me on the other day (I was using a foundation that day) so the blusher looks super dewy. It doesn't need multiple layers like the Love Me because the pigmentation is so intense. 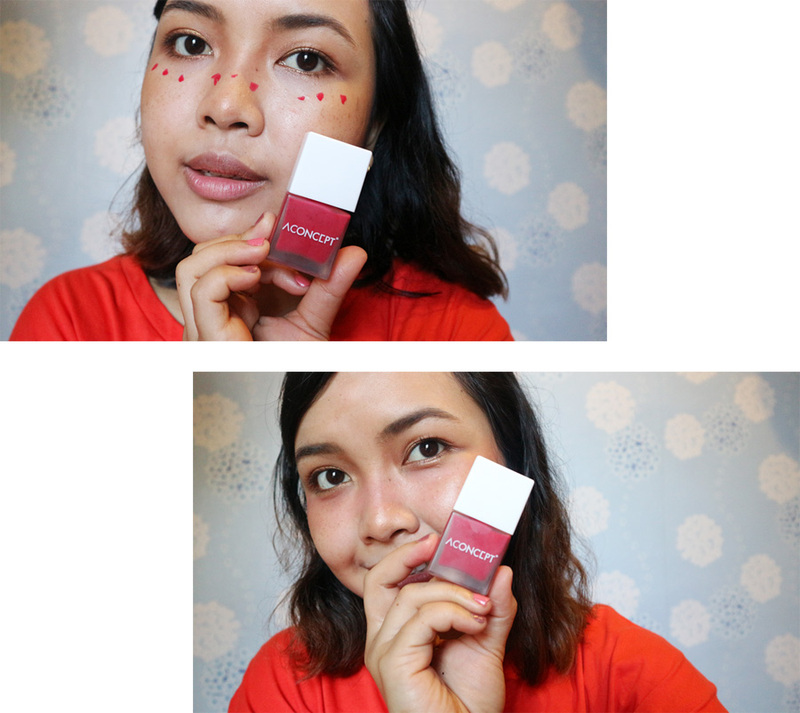 To get the pigmentation like the photo below, I only applied 2 layers on my cheeks and nose area. And suprisingly the result is still natural. It kind of hard to blend when we had foundation as make up base, so you need more patience to blend it extra carefully so that it keeps giving a natural finishing like I did below. I used my fingers to dab the blusher this time. 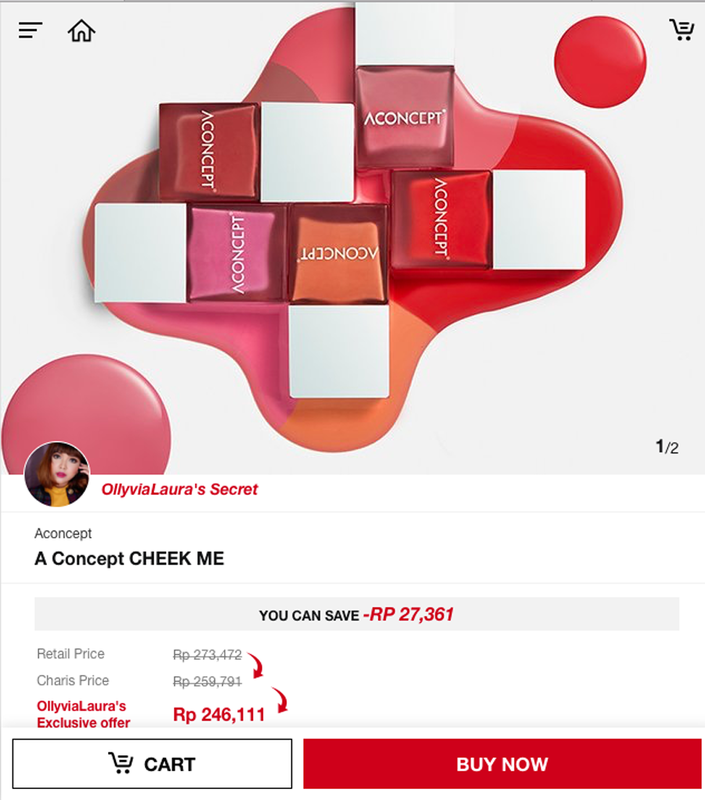 Where to find this A Concept - Cheek Me product?